Elevate your denim style with this soft, flowy jacket of refined Tencel®. 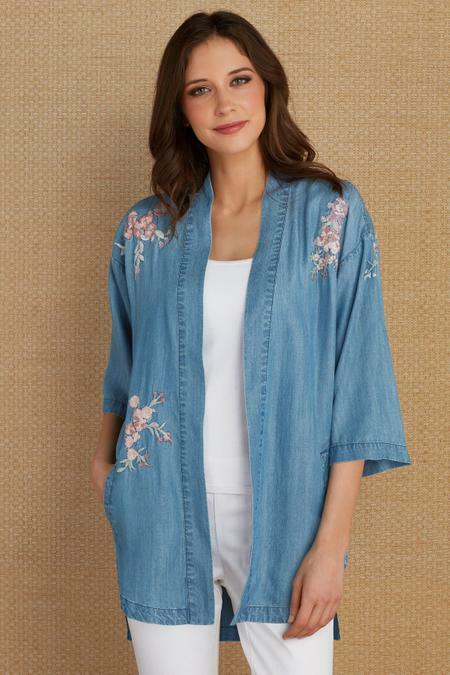 Embroidered with flowers, leaves and delicate buds, this chic cardi balances the cool look of woven yarn-dyed chambray with feminine elements like dropped 3/4 sleeves, a slight high-low hemline, and drawstring at the back waist. Tencel®. Misses 30"/33" long.